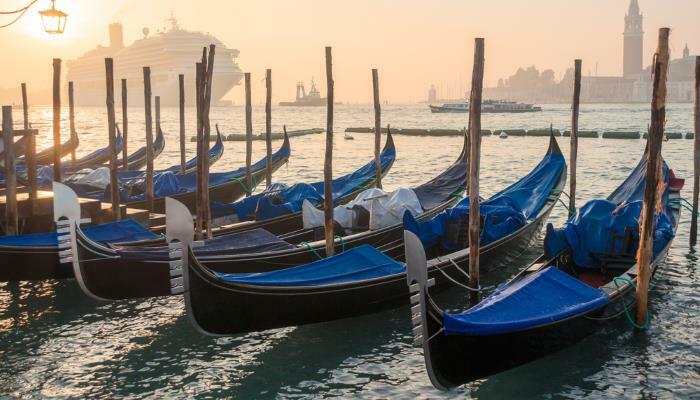 Venice is famous for its romance, but is perhaps even more notorious for its expense. 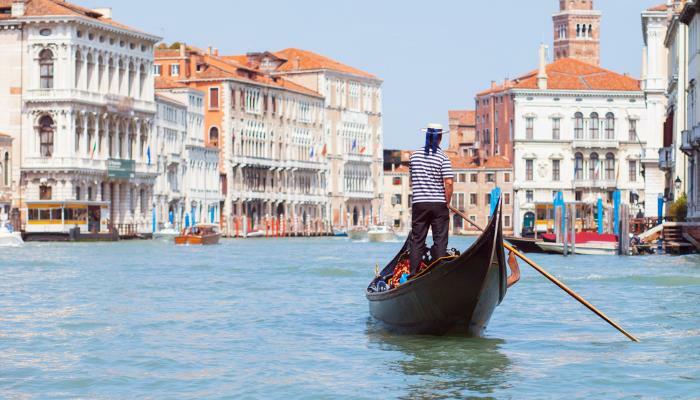 The city is renowned for gondola rides where you and your loved one are serenaded, Bellinis in canal-side cafes and delicious Italian cuisine – however, it is possible to enjoy a getaway to this picturesque city without breaking the bank. Here are our top tips for a cheap city break in one of Europe’s finest destinations. Gondola rides are synonymous with Venice, but they are not very cost effective with most tours costing up to €50 per person, and lasting not much longer than half an hour. That’s a pretty pricey half an hour! The best way to take to the water is on the city’s water buses. Venice’s water bus service is a little like the tube system in that it takes commuters around the city, and is used by locals and visitors alike. Luckily, that’s pretty much where all similarities end – instead of trawling dark, dank tunnels, these boats ferry people up and down the picturesque canals of the city giving ample photo opportunities along the way. You can buy tickets for the ACTV boat network for €40 for three days worth of travel. Okay, so I know we’ve just told you how expensive gondolas are, but if you just simply cannot visit the city without a trip on one, there is a way to have the experience on the cheap. There are traghettos (larger, flat bottomed gondolas) ferrying people across the Grand Canal throughout the day. The trips cost only €4 and last around seven minutes, giving you plenty of time to snap selfies in one of Venice’s most iconic vessels and locations. Passengers usually stand on the traghettos so get your sea legs ready! The hotels around the Piazza San Marco are incredibly well located, but they are certainly not the cheapest, or the best value for money. For a more affordable alternative stay outside of the city itself and “commute” in. Eurocamp have a park, Marina di Venezia Campsite, just outside of the city which has waterslides, kayaking and windsurfing making it a wonderful base for families. From here, you can take the ferry from Port Sabbioni straight in to Piazza San Marco. Alternatively, you can stay in Mestre and catch the train in to Venice – It’ll leave you with plenty more money for that all important gelato. Eating out in Venice can be a pretty expensive affair, with rumours of tourists paying £13 for ice cream. 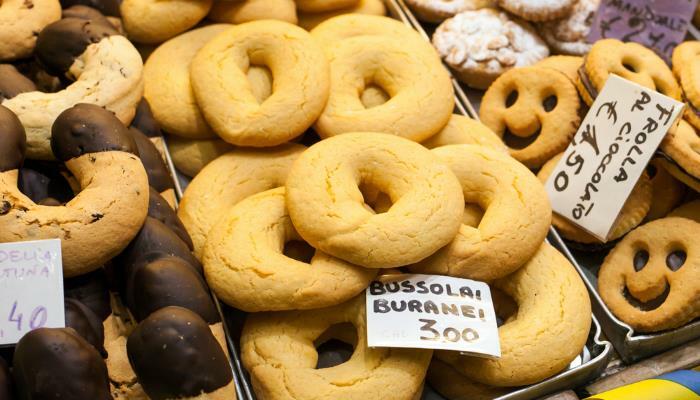 However, it is important to note that there are patisseries across the city, such as the Bar Pasticceria di Chiusso Pierino, which serve delicious pastries at very reasonable prices. It is common in Italy to buy breakfast at one of these patisseries, and to eat in, standing at the “bar”. So make like a local and join the crowds for a suitably Venetian breakfast. We highly recommend the apricot brioche! Having dinner out in Venice is something of an event – with long gaps between rich courses allowing you the time to savour the flavours. 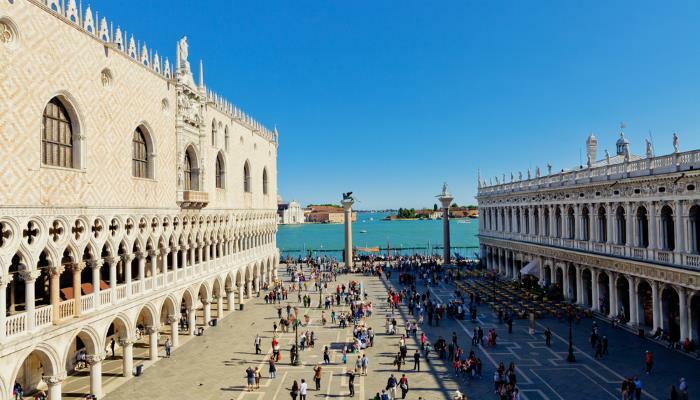 However, whilst we recommend splurging a little whilst on holiday you can do this for much less if you steer clear of the main tourist attractions of Venice. 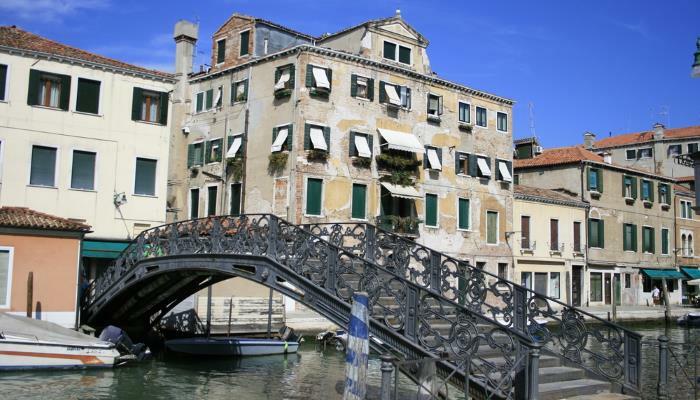 Venice’s former Jewish ghetto area has an array of more affordable restaurants within walking distance of the city centre. Gam Gam, for example, offers pasta dishes from around £10, and trust us when we say that you will appreciate that stroll after dinner! Venice puports to have been the birth place of the Bellini, at Harry’s Bar and it truly is a great place to drink. Remarkably, drinking in Venice is a lot cheaper than you would expect, with beers in the Canareggio area sitting around the £2.50 point. There are a number of bars alongside this canal, making for an incredibly pretty spot to drink a beer. 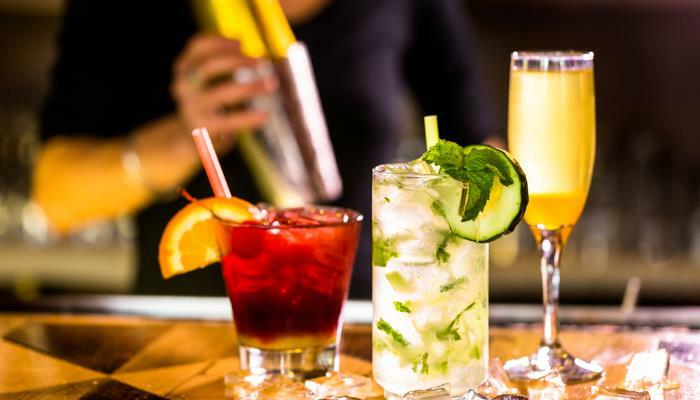 So if you fancy a break from sightseeing, spend a lazy afternoon hopping from bar to bar.